HERE AT HSC ORTHODONTICS, WE ARE EXCITED TO SERVE THE GREENVILLE AND SULPHUR SPRINGS COMMUNITIES… AS WELL AS SURROUNDING AREAS! WE OFFER A VARIETY OF TREATMENT OPTIONS FOR ALL AGES, INCLUDING CLEAR BRACES AND INVISALIGN. TO LEARN MORE ABOUT HOW ORTHODONTIC TREATMENT CAN BENEFIT YOU AND YOUR FAMILY, PLEASE EXPLORE OUR WEBSITE OR GIVE US A CALL. We often get asked, “when IS the best time to start orthodontic treatment?” You need teeth first of all! hOWEVER, The ideal time is different for everyone. The AAO recommends at age seven, but anytime is great and often varies. We see patients from age six to eighty-six! give us a call, we would love to schedule a consult for you. As we serve our communities and focus on being the best practice around. We want to share a few of the things we care about and what they mean for you. 1. We have awesome customer service. 2. We set ourselves apart by supplying the best quality product around, and we never cut corners. 3. We love our patients! Relationships set us apart. We strive not just to treat our patients, but to truly know them. 4. We are intentional about making a positive, uplifting, faith-based impact in the lives of our patients. "Awesome - I can't think of anything except great things to say about your staff and service. 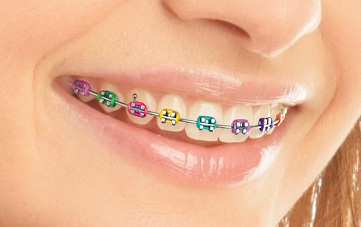 Everyone should be so lucky to have their braces done here." "We had the most amazing experience with our office; everyone was always so helpful and accommodating in any situation. We sure are excited at the results and the fact that they didn't just set a date and take off her braces; Dr. Spencer made sure her teeth were just perfect." "Excellent! My daughter is going to miss seeing you all every few weeks. Everyone has been so friendly. I look forward to continuing our relationship with my other children."